Let's be honest: We're suckers for anything free. Throw the words “facial” or “hand massage” after that “free,” and we’ll be the first ones in line. 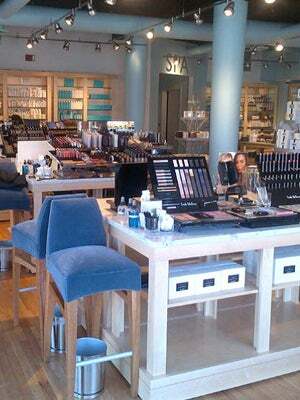 If you’re of the same mindset, then you’ll be happy to know that Bluemercury, D.C.'s homegrown luxury beauty retailer, is hosting a two-day event offering those two exact treatments at no charge. Today and tomorrow, all Bluemercury locations will be celebrating the release of the Power Glow Peel, a new product from the M-61 skin care line, created by founder Marla Beck. Bluemercury stores throughout the DMV are celebrating the product launch with Power Glow Peel mini facials and hand massages using M-61's Vitablast C Hand shea butter hand cream. The best part? These quick treatments don't require a purchase or an appointment. In other words: We’ll see you there. When: Today, July 25, and Friday, July 26. Where: Area Blue Mercury locations; see a complete list here.